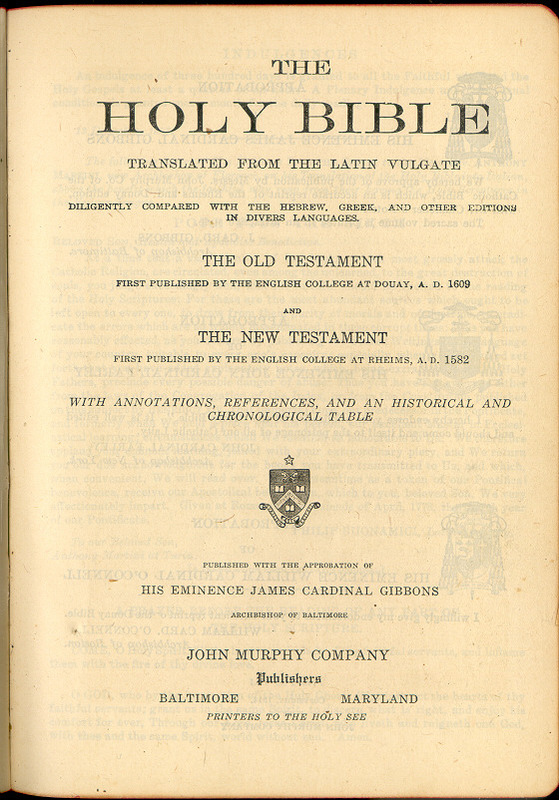 The Holy Bible Translated from the Latin Vulgate. John Murphy Company, Baltimore Maryland, 1914. Has "Murphy" on the spine. Similar to Hills #2217. 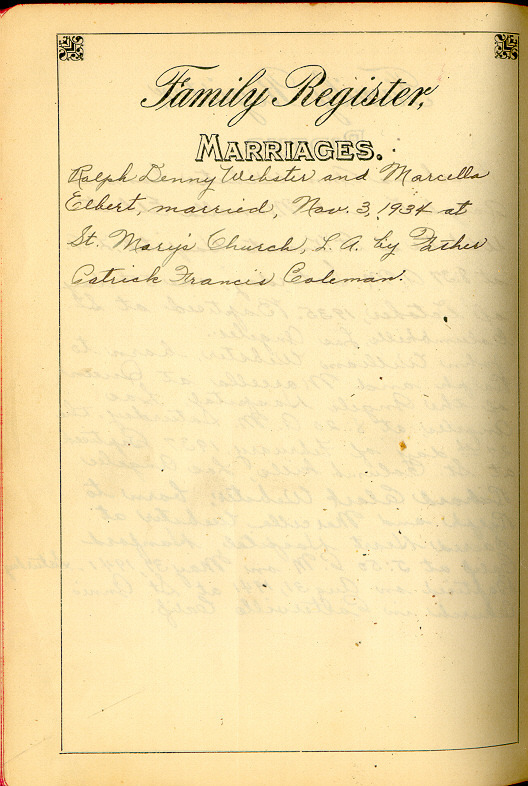 (to her husband) and one undated signed "Pap". Bible eagerly returned to Marcella Webster, just as she is celebrating her 90th birthday. She wrote me a very kindly letter, and is the nicest person you will ever meet. 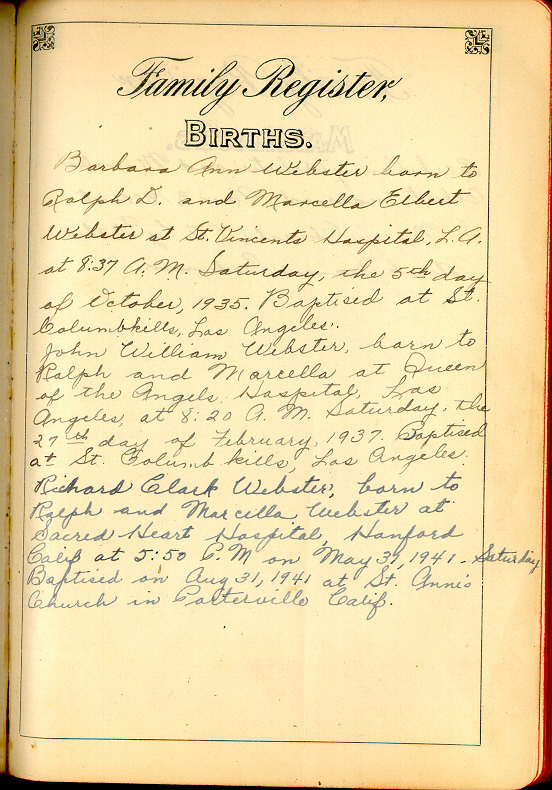 Elbert Webster at St. Vincents Hospital, L.A.
at 8:37 A.M. Saturday, the 5th day of October, 1935. 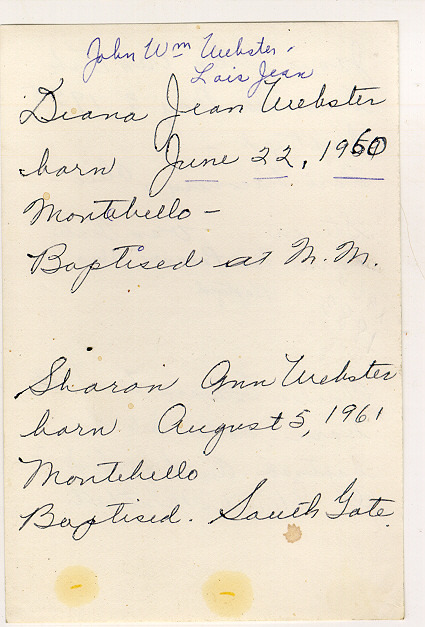 Baptised at St. Columbkills, Los Angeles. 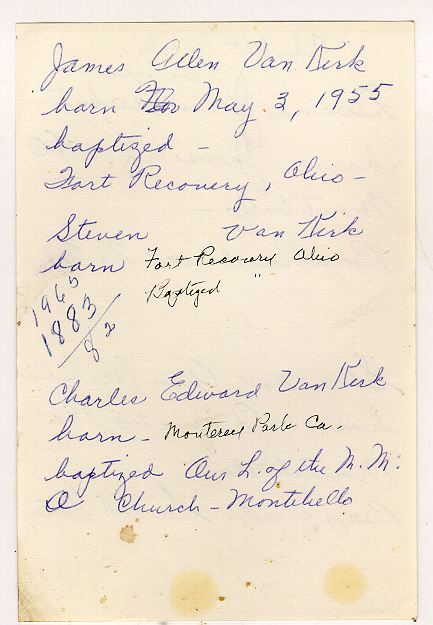 A.M. Saturday, the 27th day of February, 1937.
at Sacred Heart Hospital, Hanford, Calif. at 5:50 P.M.
at St. Anne's Church in Carterville, Calif.
Steven Van Kirk born Fort Recovery, Ohio Baptized "
Charles Edward Van Kirk born Monterey Park, Ca. 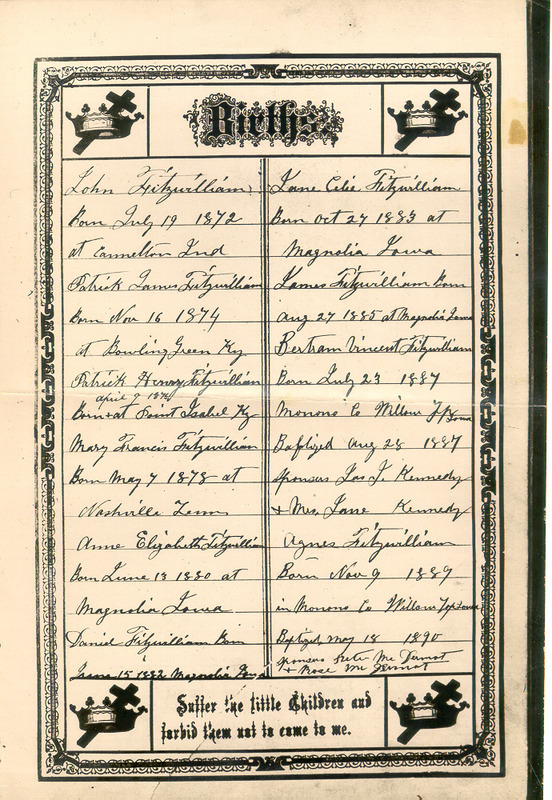 Mary Francis Fitzwilliam Born May 7 1878 at Nashville, Tenn.